Unbeaten in two starts, Brutal will race over 1400m in Saturday’s Listed Antler Luggage Plate instead of the more prestigious Group Two Danehill Stakes at 1200m. 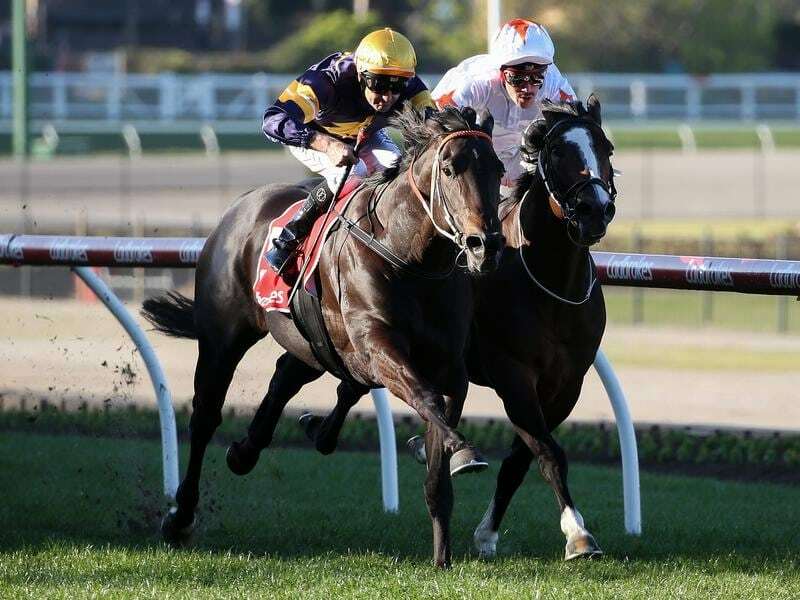 Co-trainer Wayne Hawkes wants to know before getting too far into the spring whether Brutal can run further than the 1200m he’s been successful over at Caulfield and Moonee Valley. Next month’s Caulfield Guineas (1600m) is a potential target as is the Coolmore Stud Stakes (1200m) at Flemington. “We’re starting to map out the autumn already without even getting right into the spring,” Hawkes said. “So it’s a good time to test him to see whether he’ll run the 1400 metres. “It’s twofold. It not only tells you for this prep but it will tell you for next prep as well. “If he’s not going to run the 1400 metres, I’ve got no problems and if he’s only a 1200-metre horse, I won’t be upset. Hawkes said the stable got a lot from Brutal’s victory in the McKenzie Stakes at Moonee Valley on August 25 and said he’ll also leave Flemington much wiser. “Moonee Valley gave us a lot of answers and on Saturday we’ll learn even more which will be pretty important for the rest of his career,” Hawkes said. “I think he’ll run it (1400m) alright as he switched off pretty well the other day.